What Does The Future Hold For QuickBooks Desktop? home / STARTicles / What Does The Future Hold For QuickBooks Desktop? If you’re a QuickBooks user, you may have noticed that Intuit is shifting a lot of focus onto QuickBooks online. In 2014 Inuit dropped the prices on QuickBooks’ Simple Start, Online Essentials and Online Plus, and made updates its online products, for example. QuickBooks’ website also heavily emphasizes the online products over the desktop products. Yet many users still prefer the desktop version, which by some accounts has much better reporting and more features in its Premier and Enterprise products. 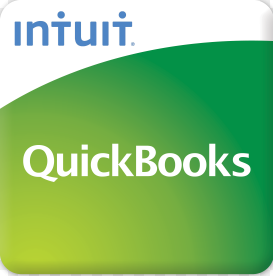 So what does this recent emphasis on QuickBooks online mean for existing desktop users? The short answer is that while Intuit is definitely growing its online presence and is positioning itself to be a top player in cloud technology, it doesn’t have plans to do away with its desktop products. In its 2015 first quarter results, the company highlighted the growth of its online products. “We began fiscal 2015 on a strong note. Our shift to the cloud continues to accelerate customer growth, led by QuickBooks Online,” said Brad Smith, Intuit’s president and chief executive officer. However, Intuit doesn’t plan to let its desktop products stagnate. Smith, Intuit’s president and CEO, said that the company will continue in 2015 to make “important product changes” to QuickBooks desktop products. That could mean that those new desktop features will connect desktop products with the cloud. For existing QuickBooks desktop users, there’s no indication that the product you’ve been using will go away or deteriorate. If you choose buy a new desktop product, you can expect to continue using it as you have been, and to see updates that will encourage you to dip your toes into the cloud, if you aren’t doing so already. The good news is that no one will be forced to suddenly adapt to the online products; it seems that Intuit will focus on slowly moving its customers to the cloud instead of yanking the carpet out from under them.